This is definitely a work in progress. If you are a descendant of Gustave Bonnette and Leocade Riche, I would sincerely enjoy your comments, corrections, and naturally additions, especially photographs of the children of Gustave and Leocade that I do not have, which are many!! As you may observe there are many of us. If you have been omitted or misidentified, please let me know and I will take immediate action to remedy the error. Please enjoy! auRayvoir! Ray L. Bellande, July 12, 2006, Ocean Springs, Mississippi (228) 257-6350. In the 1860 Federal Census of Avoyelles Parish, Leah Riche was the eldest of three siblings, Arcadus Riche (b. 1856), Elida Riche (b. 1858), and Irene Riche (b. 1859). In her later life, Leah resided with her son, Elis Bonnette, at Alexandria, where she helped rear her grandchildren, James Lee Bonnette (b. 1920) and Frances Lillian Bonnette (b. 1922). From the land records of Avoyelles Parish, Louisiana, it appears that Gustave Bonnette and family settled in Ward 8, T1S-R5E, on Bayou Choupique near Plaucheville, Louisiana. He made his livelihood as a farmer cultivating about sixty acres of land that he acquired between 1885 and 1895 in the Bayou Choupique section. After his death in December 1895, Leocade R. Bonnette petitioned the Probate Court of Avoyelles Parish to be tutrix of her eight minor children: Ulysse Bonnette, Irma Bonnette, Ida Bonnette, Inez Bonnette, Irene Bonnette, Philibert Bonnette, Elis Bonnette, and Nettie Bonnette. She further requested that Floreval Bonnette be appointed under tuter. (Probate Proceedings of Avoyelles Parish, Louisiana, Book J, pp. 405-406). In 1900 Federal Census, Leocade R. Bonnette told the census taker that she had birthed twelve children and that ten were living in 1900. Gustave Bonnette left her a small estate and these eight minor children. 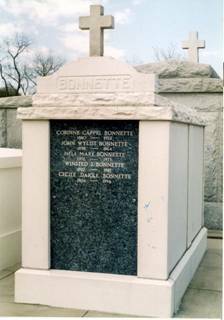 The corporal remains of Gustave Bonnette rest in the Mater Dolorosa Cemetery at Plaucheville, Louisiana in Section B-3, Row 9, Plot 30. He expired on December 7, 1895. 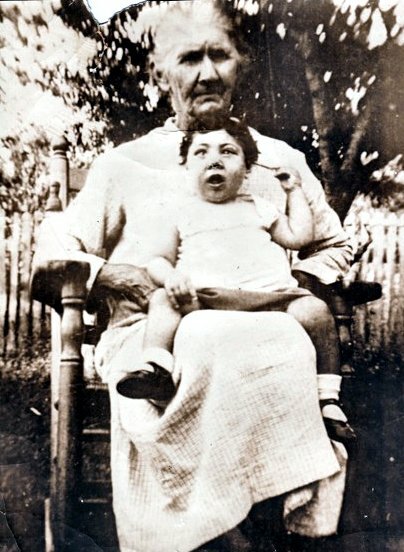 Leah Riche Bonnette died from cancer at Plaucheville, Louisiana on November 11, circa 1930, where she was residing with her daughter, Inez B. Lemoine (1886-1938). Her remains were interred in the Mater Dolorosa Cemetery. Her grandson, Wiltz Lemoine (1908-1969), a welder, made an iron cross for her gravesite. The metal nameplate on the crucifix has disappeared with time. Her birth is noted in the genealogical column of Nelson Gremillion, Our Heritage, "The Bonnette Family", inThe Avoyelles Journal, October 9, 1983. No further information. Two daughters were born after 1900: Blanche Bonnette (1902-1917) and Norma Bonnette (1903-1982) who was born on July 31, 1903. 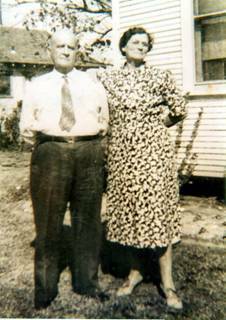 Norma Bonnette married Lemmie L. Gremillion (1900-1962). Norma B. Gremillion passed on November 18, 1982. She and Lemmie L. Gremillion are interred with her father. 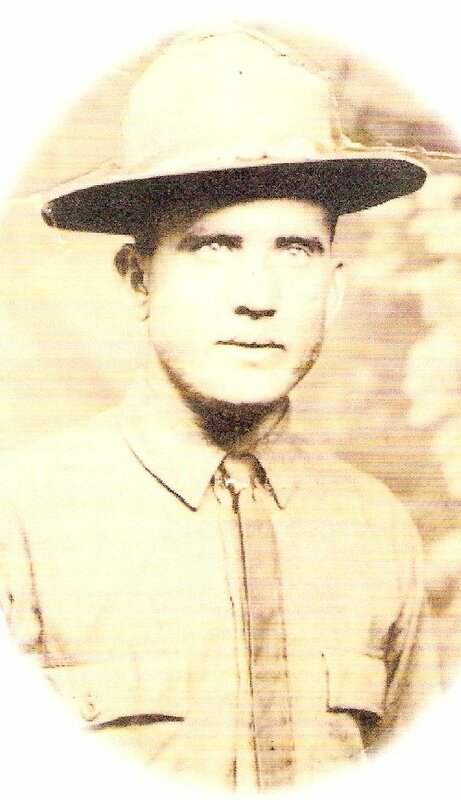 Walter Joseph Bonnette (1896-1931) was born June 1896 in Plaucheville, Louisiana. 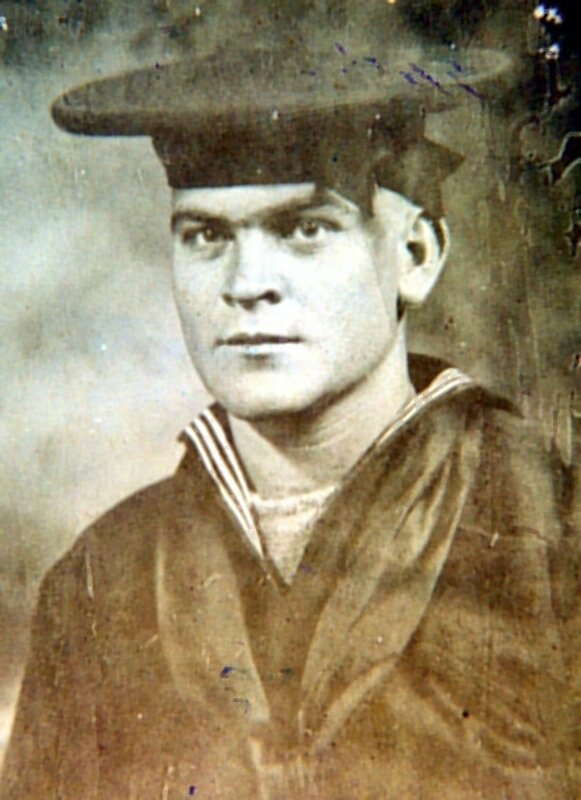 I have acquired some anecdotal information on this colorful individual as follows: He joined the U.S. Navy and was stationed at New York where he expired. A nurse with legal marriage documents claimed his estate. (from L.G. Gremillion, Moreauville, Louisiana-March 1998) This family lore is corroborated by Maudry Bonnette Ferrand of Slidell who adds that Walter died from pneumonia at New York in 1928. Greg Cusack [gcusack@verizon.net],a descendant of the Kearney family, contacted me in August 2010 and provided the following information. Walter J. Bonnette died in 1931 and was buried in St. Peter's Cemetery at Liberty, Sullivan County, New York. Walter and Maxine lived at Mt. Vernon, New York. Maxine played the organ for the New Rochelle orchestra and taught school in Liberty, New York for most of her life. She had no children. Bloome Bonnette (1899-1977) and spouse? Bloome Bonnette expired at Metairie, Louisiana in July 1977. 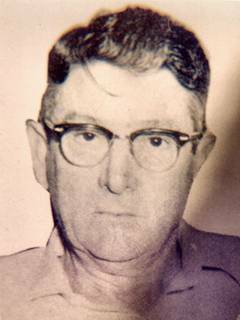 Azalie Bonnette followed him in death in July 1979. Maudry Bonnette Ferrand (1922-2014), passed away peacefully Monday, February 24, 2014 at the age of 92. 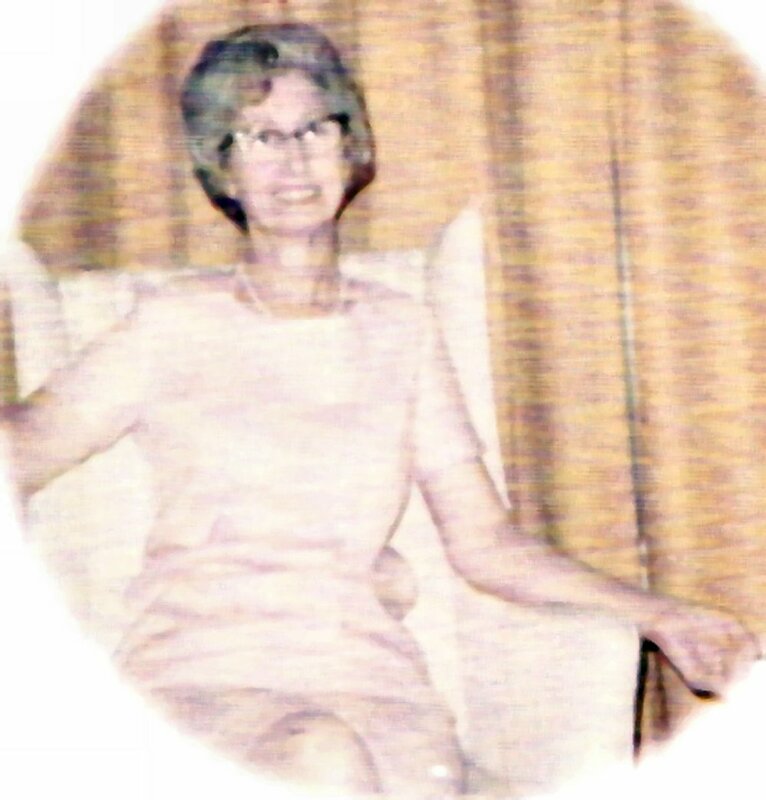 Beloved wife of the late Elmer L. Ferrand; mother of Rodney L. Ferrand (Gail), Glenn D. Ferrand (Susie), Brian L. Ferrand (Priscila), and Janell Ferrand Berman (Jesse). She is also survived by her brother and multiple nieces and nephews. 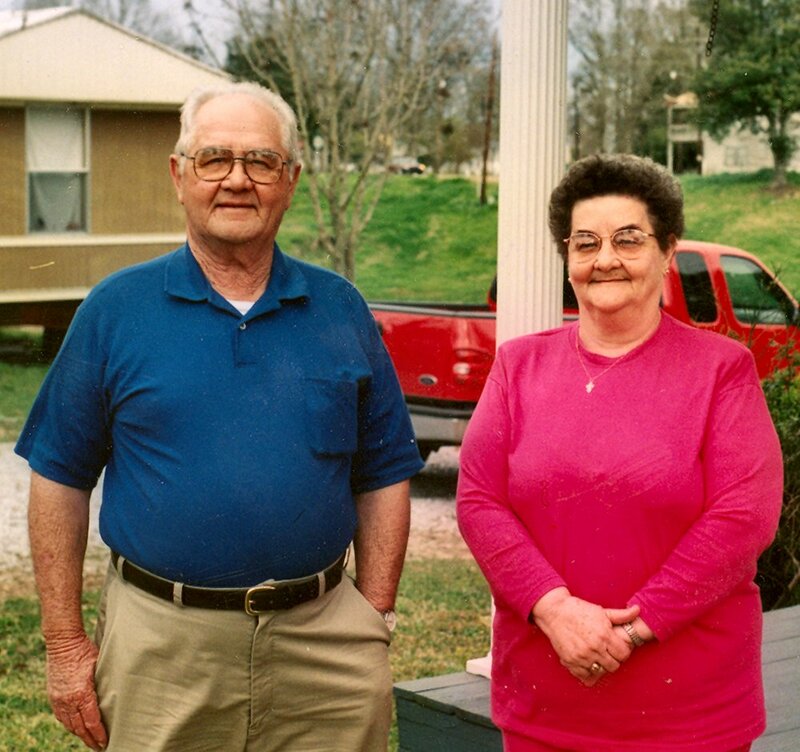 Maudry was a devoted grandmother to eight grandchildren and one great-grandchild. She lived most of her life in Metairie, Louisiana and the last 30+ years in Slidell, Louisiana. She made a career of raising her children, loving and nurturing her grandchildren. She enjoyed and rarely missed her one (maybe two glasses) of red wine. She was loved by everyone, and will be missed by all. Norma Bonette Gremillion and Lemmie Leon Gremillion are interred with her father in the Mater Dolorosa Cemetery at Plaucheville, Louisiana. By 1910, Henry Bonnette and Corinne C. Bonnette had birthed five children, but only three sons were alive: John Wylist Bonnette (1898-1964); Winsted J. Bonnette (1902-1987), John Alva Bonnette (1906-1984). Henry maintained his farm near his mother’s in Ward 8. (1910 Avoyelles Parish, Louisiana Federal Census, (T624_508). 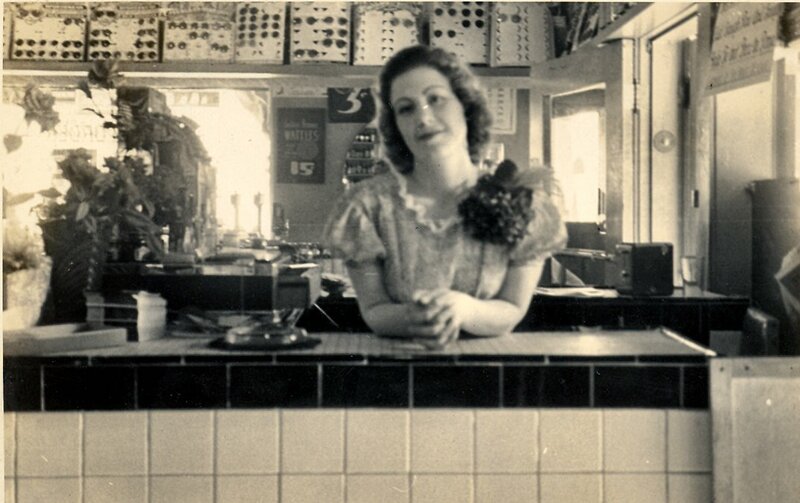 Before his demise, Nell Mary Bonnette (1912-1973) was born on July 12, 1912. Her corporal remains were interred in St. Louis Cemetery No. 3 at New Orleans. 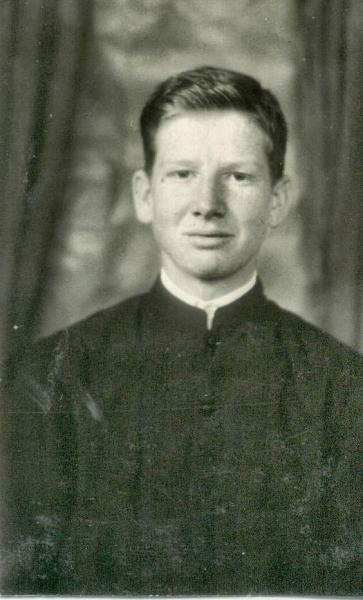 John A. Bonnette (1906-1984) was born at Plaucheville, Lousiana on April 8, 1906. He married Ethel Roy(1912-1992) of New Roads, Louisiana. They had three children: William A. Bonnette (b. 1938) married Bonnie Hattier (b. 1942) on May 14, 1966 at St. Leo’s, NOLA. William and Bonnie reside at Baton Roughe, Louisiana-two children: Keith William Bonnette (b. 1971) and Suzanne Bonnette Lorio (b. 1973), married Christopher Lorio; Roy Bonnette-Mandeville, Louisiana; and Betty A. Bonnette married Ronald Mitchell-two children: Christopher Bonnette (b. 1971) and Melissa Bonnette (b. 1973)-Ronald and Betty reside in Baton Rouge, Louisiana. 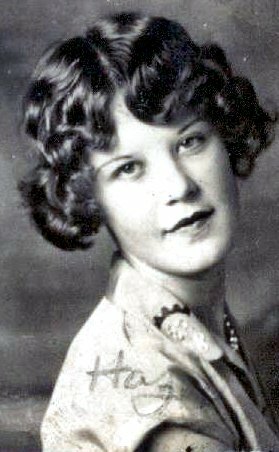 Before the demise of Henry Bonette, Nell Mary Bonnette (1912-1973), a daughter, was born on July 12, 1912. Her corporal remains were interred in St. Louis Cemetery No. 3 at New Orleans. Genevieve "Mim" Champagne (1877-1940) and Ulysse M. Bonnette (1877-1940) and circa 1938. Ulysse Michel Bonnette (1877-1940), called Ulysses, Moses Ulysse or "Uncle Joe", was born January 23, 1877 and baptized at St. Joseph's Catholic Church in Marksville, Louisiana. He married Genevieve Lodi Champagne(1882-1969), called "Tante Mim". She was born near St. Martinsville, Louisiana on October 16, 1882, the daughter of Telesphore Champagne (1835-1910+) and Adelaide Lenormand (1840-1910+). 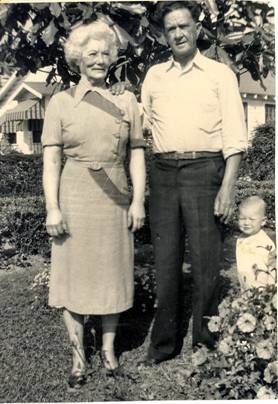 Their children were: Edwin P. Bonnette (1899-1969), Sutton J. Bonnette (1901-1974), William J. Bonnette (1904-1969), Floyd B. Bonnette (1905-1971), Agnes Bonnette Crotty (b. 1912), Mildred Bonnette Cullen (1917-1960), and Mae Delle Bonnette Puckett (1920-2000). Ulysse Bonnette made his initial livelihood hauling pulpwood in the Choupique area of Avoyelles Parish. Ulysses Bonnette expired on January 25, 1940 at Alexandria. His remains were interred at the Greenwood Memorial Park at Pineville, Louisiana. 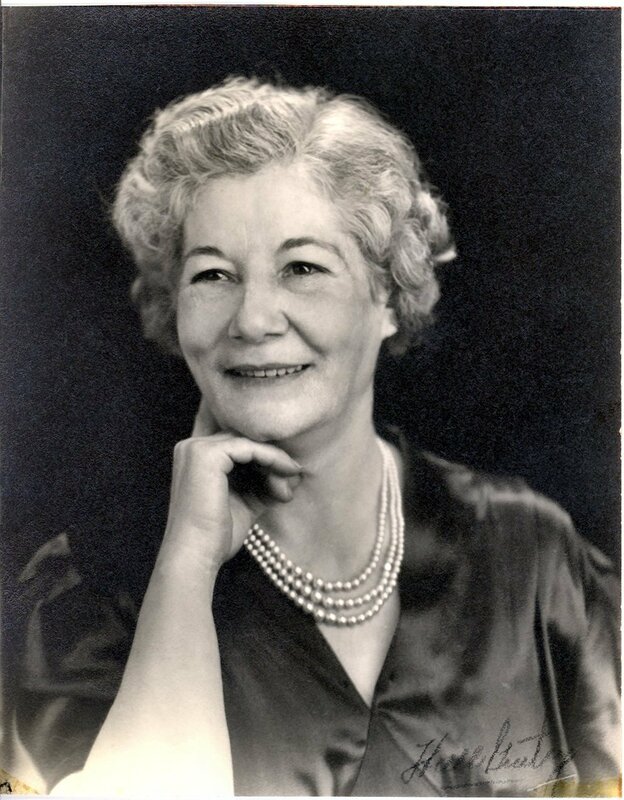 Tante Mim Bonnette died on August 18, 1969, at Alexandria. Her corporal remains also rest in Pineville. The family later lived at 19 Gordon Street in Alexandria. He expired on June 28, 1969, at Alexandria, Louisiana. Carrie died on September 29, 1980, also at Alexandria. Both were interred in Greenwood Memorial Park at Pineville, Louisiana. Sutton J. Bonnette?? and ? 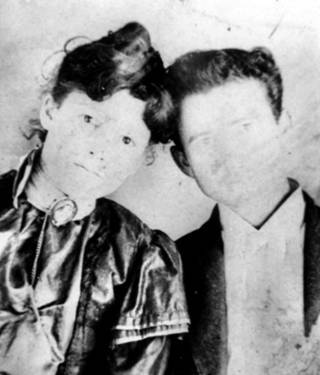 Sutton and Anna Bonnette had two daughters: Bernice Bonnette (b. 1925) in California? and Mrs. Charles (Patsy?) H. Martin 3889 Flowerland Drive, Atlanta, Georgia NE. He expired on February 10, 1974, at DeKalb County, Georgia. Anna L. Bonnette also died at Atlanta, Georgia on March 30, 1974. Both were buried in the Greenwood Memorial Park at Pineville, Louisiana. 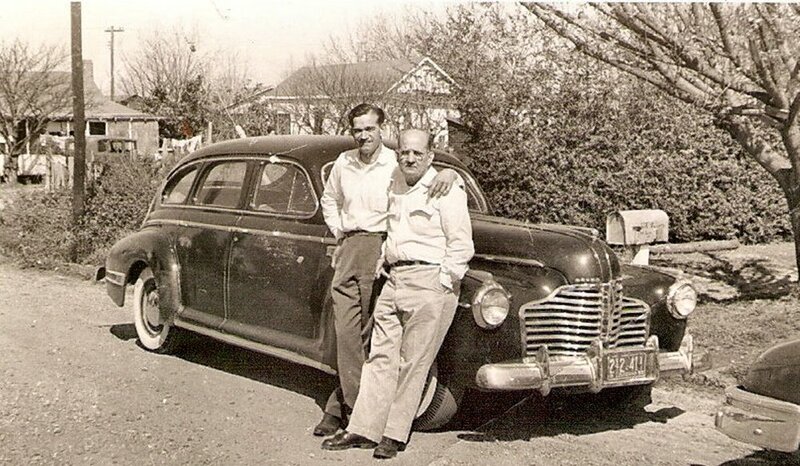 William J. Bonnette (1904-1969), called Will and Bill, was born January 8, 1904, at Plaucheville. Married two or three times. A daughter, "Billie Rae Bonnette? with first wife and Kathleen ? Bonnette with second wife. Married Lorraine Lipsey Guillot (1914-1999), a native of Atlanta, Winn Parish, Louisiana. Step-son, Sammy Lipsey, of Shreveport, Louisiana. William H. Bonnette died December 24, 1969. His corporal remains were interred at the Greenwood Memorial Park in Pineville. Post 1930, Floyd B. Bonnette married Lucille ? Bonnette and had two children: Floyd Bonnette Jr. and Barbara Jane Bonnette? He was employed at Alexandria at different times as policeman, and operated a grocery store on Prospect Street. Floyd expired January 12, 1971, at Alexandria and his corporal remains were interred at Greenwood Memorial Park at Pineville, Louisiana. Agnes Bonnette was born January 10, 1911. Before she married Robert E. Crotty (1906-1985), Agnes worked as a stenographer for a theatre. She and Bob Crotty had two children: Robert E. Crotty Jr. (1933-1996) married Gayle A. Bordelon; and Marilyn Crotty (b. 1935) married Leonard Paul Hood. Agnes was residing in a personal care facility at Alexandria, Louisiana in 1998. She passed on September 27, 2003. No further information. Mildred Bonnette (1917-1960) was born November 22, 1917. She married Edward W. Cullen Edward Joseph Cullen, II (1916-1964), a native of Dennison, Texas. Their children were: Edward Joseph Cullen III, called Ed, married Martha Lynn Colvin of Alexandria, Louisiana and Geneva Cullen married Robin Stewart. Mildred expired on December 4, 1960. Her corporal remains were interred in the Greenwood Cemetery at Pineville, Louisiana. Edward J. Cullen II died at Dallas, Texas in 1964. His corporal remains were sent to Dennison, Texas for internment. Edward “Ed” Cullen III has been a reporter, columnist [Attic Salt], and staff writer for The Baton Rouge Advocate for many years. He debuted in July 2001 as a commentator for NPR’s “All Things Considered” sharing his experiences of growing up in South Louisiana. Ed has published Letter in a Woodpile (2006), a series of essays on life in southern Louisiana. Ed and Martha have two children: Michael Cullen and a daughter, Emily Cullen Nash. 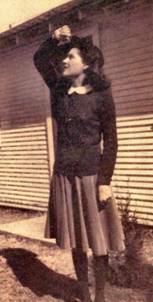 Mae Delle Bonnette (1920-2000) was born September 24, 1920, at Moreauville, Avoyelles Parish, Lousiana. 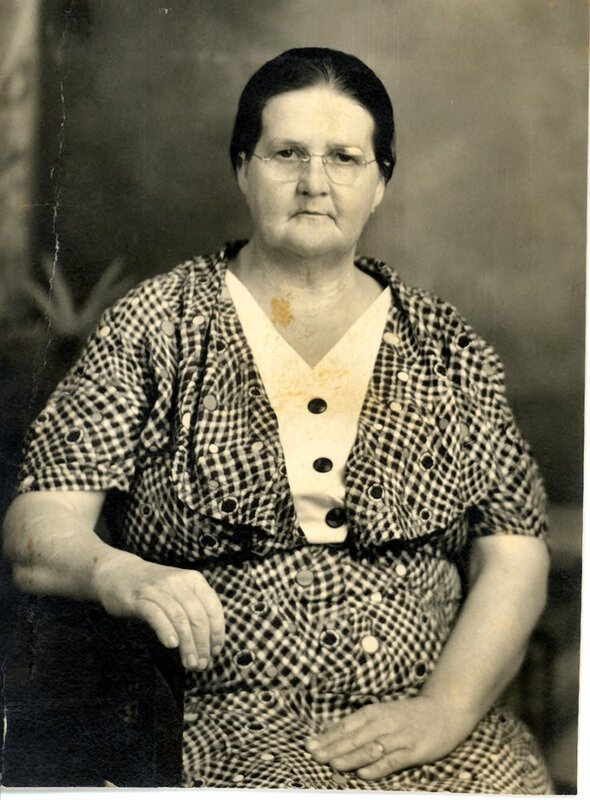 Mae Delle, called “Rook”, married Charles William Puckett (1921-1979), a native of Sikes, Winn Parish, Louisiana on September 19, 1942 at Coleman, Texas. Rook and Charles had one child, Sondra Ann Puckett Smith Scalco (b. 1945). During World War II, Charles trained at Coleman, Texas to fly military aircraft. He was commissioned at second lieutenant in the US Army Air Corps at Lubbock, Texas in June 1943. Charles military career took him to North Africa where he flew combat missions in the B-25 medium range bomber. As the Allies pushed the Germans out of this region, Charles’ squadron continued air assaults against enemy positions in Sicily, Italy, etc. The US Army Air Corps softened the way for the ground troops of General Bernard L. Montgomery (1887-1976) and General Mark Clark (1896-1984). 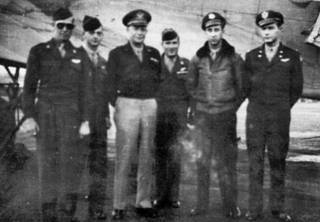 When the conflict had ended in 1945, Charles Puckett flew military VIPs. 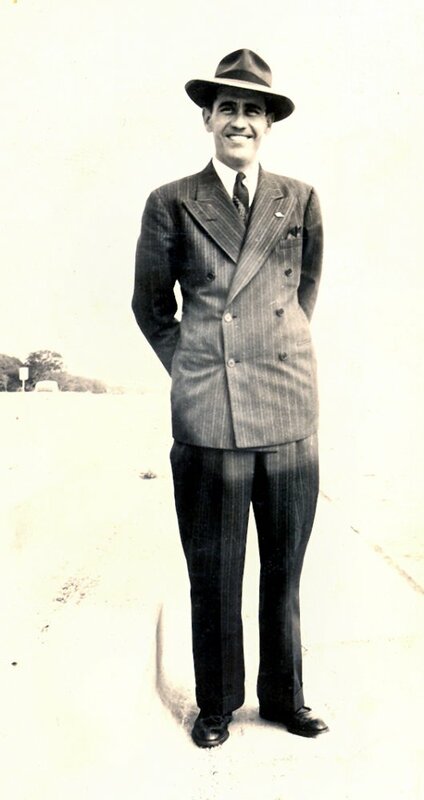 Charles W. Puckett made his livelihood as sales manager for Turpin Pontiac at Alexandria, Louisiana. He expired at Biloxi, Mississippi on September 19, 1979, while attending a presentation of the new 1980 Pontiac. Charles W. Puckett’s corporal remains were interred in Forest Lawn Memorial Park at Pineville, Louisiana. Rook B. Puckett expired at Shreveport, Caddo Parish, Louisiana on April 9, 2000. (SSDI) No further information. Mentioned in the January 1895 Petition for Inventory and Tutership. She appears to have married or died before the 1900 Federal Census. No further information. Ida Emma Bonnette (1884-1962) was born in February 1884. Circa 1902, she married Gaston Etienne Champagne (1878-1943). Their children were: Ignace or Ignatius B. Champagne (1904-1973), Maude Champagne Lemoine (1905-1977), Alwyn Champagne (1907-1972), Eddie Champagne (1908-pre-1920), and Agnes Marie Champagne Hellbach (1914-1965). Gaston E. Champagne was born Hippolyte Gaston Champagne on June 2, 1878 near St. Martinville, Louisiana, the son of Alexandre Telesphore Champagne (1835-1910) and Celina Adelaide Lenormand (1840-1930). He may have been the brother of "Tante Mim", Genevieve Champagne Bonnette (1882-1969), the wife of Ulysse Bonnette. Gaston died at New Orleans on December 8, 1943. Gustave or Gaston E. Champagne expired on December 8, 1943. Ida died September 28, 1962, at New Orleans. Their remains were interred in property No. C325-A of Section F at the Hope Mausoleum on 4841 Canal Street in New Orleans. Ignatius (Ignace) B. Champagne (1904-1973) was born February 8, 1904. He expired at New Orleans in November 1973. In 1930, Ignatius was employed as a salesman in a department store in New Orleans. His corporal remains may have been interred in the Hope Mausoleum on Canal Street in New Orleans. Ignatius acquired the Hope Mausoleum internment property in February 1943. Maude expired at Westwego, Louisiana in February 1977. No further information. Alwyn Champagne (1907-1972) was born April 4, 1907. He married Rose Calogne (1917-1985). In 1930, he made his livelihood employed in cotton seed oil mill in the Crescent City. 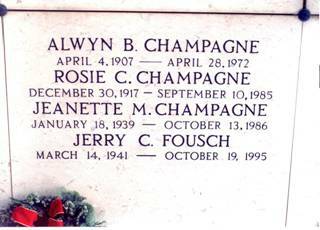 They had three children: Jeanette Champagne (1939-1986), Richard Champagne, and Jerry Champagne Foush (1941-1995), who was born on March 14, 1941. Jerry married Robert Foush and was the mother of: Robert J. Foush Jr.; Bret J. Foush; Lori F. Samataro; and Theresa F. Carrone. 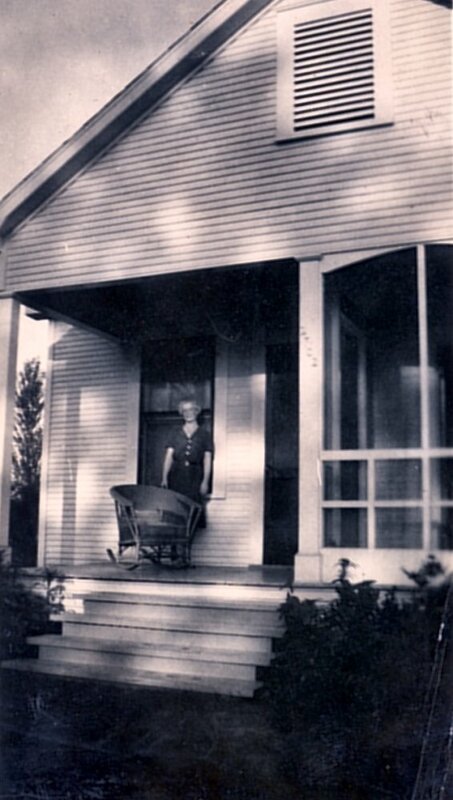 Inez Bonnette (1886-1938), called "Tante Barb", was born in January 1886, at Plaucheville. She married Hermagene Lemoine. They resided at Plaucheville and reared a family consisting of: Elder B. Domico (1906-1992), Gaston Lemoine (1907-1974), Wiltz "Pish" J. Lemoine (1908-1969), Will "Bill" J. Lemoine (1908-1980), James F. Lemoine (1914-1969), William F. Lemoine, Hampton Lemoine, Nodie Lemoine (d. 1996), Marjorie L. Rabalais (1921-2008). Inez Bonnette Lemoine (1886-1938) died on January 25, 1938. Her remains were interred in the Mater Dolorosa Cemetery at Plaucheville, Louisiana. No further information. Elder L. Lemoine (1906-1992) was born December 13, 1906. On May 28, 1925 at Alexandria, Louisiana, Elder married Ben Domico (1901-1972), the son of Sam Domico and Matilda Nicholas. Their children were: Sam Herman Domico (1926-1971) married Pia Koontz; Rita Opal Domico (b. 1927) married Paul Bert LaCombe (1926-2013); Mary Matilda Domico (b. 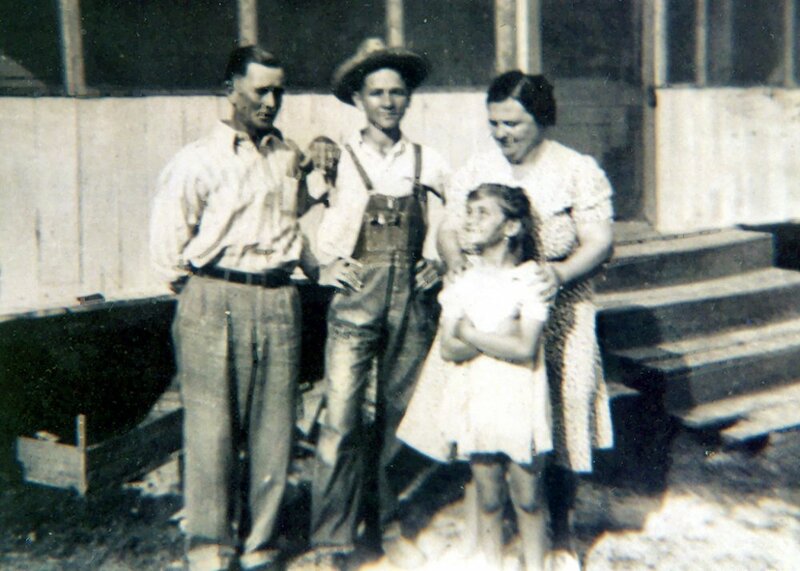 1929) married Levis J. Louviere Jr. (1924-1989); and Frances "Baby" D. Finney (b. 1933) m. Marvin Lee Finney (1931-2006). Elder Lemoine Domico expired on August 27, 1992, at Alexandria, Louisiana. Sam Domico died there on July 15, 1972. No further information. Gaston Lemoine (1907-1974) was born September 22, 1907. He married Denette Bernadette Lemoine (1912-1988) , the daughter of J. Lemoine and Irma Mayeux. Gaston lived most of his life in the New Orleans area. He expired in February 1972. Denette was born October 20, 1912 and died November 3, 1988 at Metairie, Louisiana.No further information. Wiltz J. Lemoine (1908-1969) was born June 26, 1908 at Plaucheville. He died October 12, 1969. Wiltz, called Pish, was married to Anna Mae English (1913-1991). She expired on December 30, 1991. 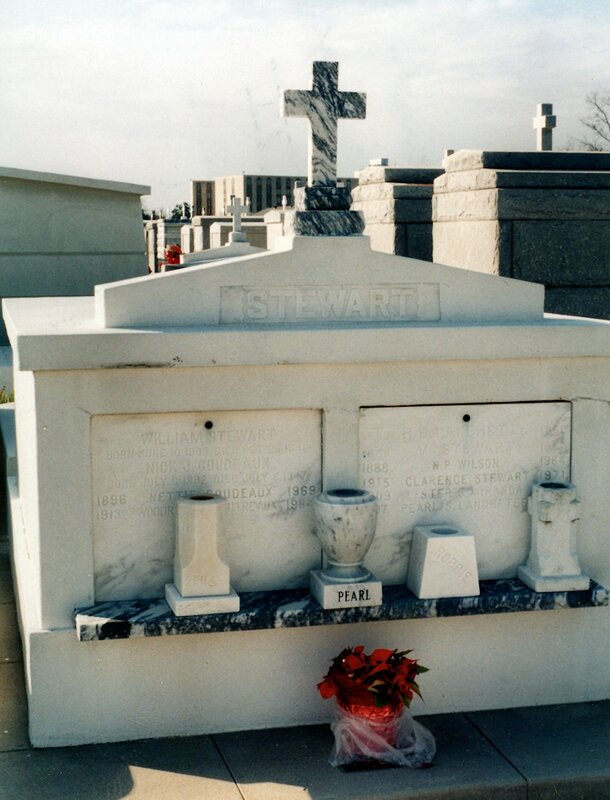 Both are interred at the Mater Dolorosa Cemetery at Plaucheville, Louisiana. Will J. Lemoine (1908-1980), called Bill, was the twin brother of Wiltz Lemoine. He was born June 26, 1908 at Plaucheville and married Gladys Virginia Turner (1915-1985). Their children were: Ronald Earl Lemoine (1943-1974). Bill Lemoine expired at Metairie, Louisiana on March 13, 1980. No further information. William F. Lemoine (1912-1987) was born August 27, 1912 in Plaucheville, Louisiana. He married Lorine Lemoine (1918-1996), the daughter of J. Lemoine and Irma Mayeaux. Their children were: David Lemoine; Leon Lemoine; John Wayne Lemoine; and Francis Lemoine Anderson. William F. Lemoine expired December 9, 1987 at Metairie, Louisiana. Lorine died at Plaucheville on October 25, 1996. No further information. 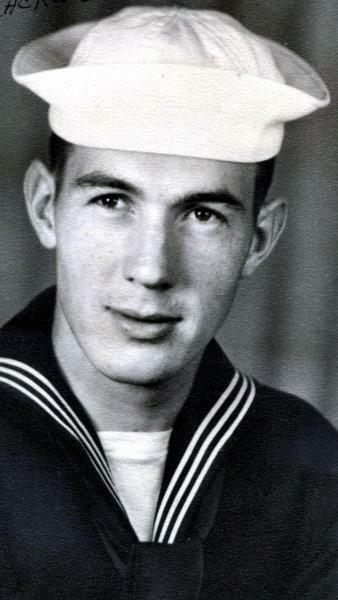 James F. Lemoine (1914-1969) was born July 13, 1914, at Plaucheville. He married Frances R. Howard (1920-1994). 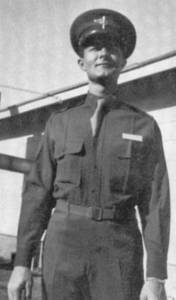 James served in the US Army during WW II reaching the rank of Master Sergeant. He died on April 29, 1969. Frances expired on October 17, 1994. Both were interred at Mater Dolorosa Cemetery in Plaucheville, Louisiana. Hampton J. Lemoine (1918-1975)-Hampton Joseph Lemoine married Evelina St. Romain (1918-1993). 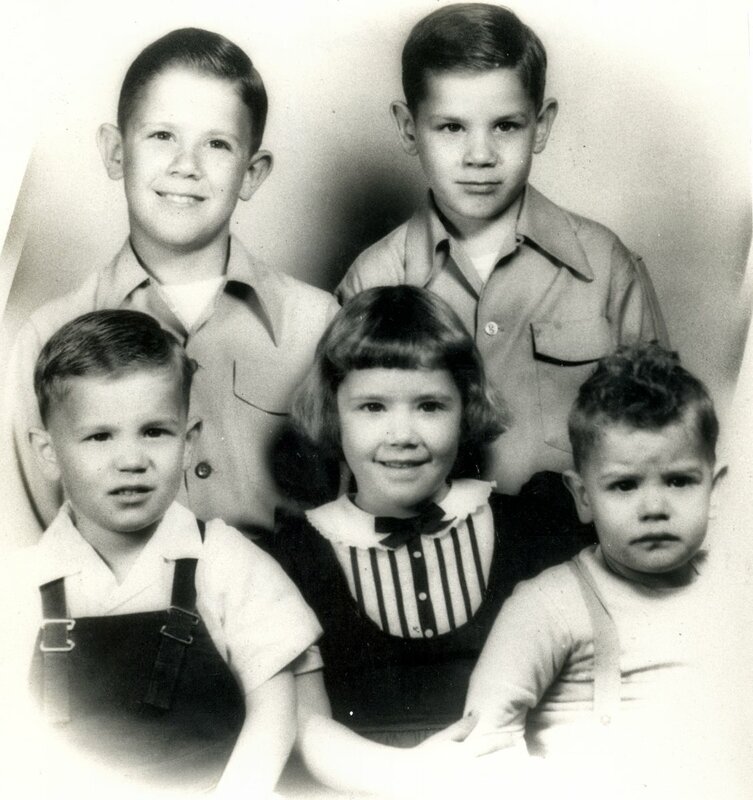 They were the parents of: Robert Anthony Lemoine; Mancil J. Lemoine; Larry J. Lemoine; and Hampton J. Lemoine Jr. Hampton J. Lemoine Sr. expired at Metairie, Louisiana on March 16, 1975. His corporal remains were interred in the Garden of Memories. No further in formation. Nodie N. Lemoine (1916-1997) was born June 16, 1916. She expired at Baton Rouge on February 14, 1997. No further information. 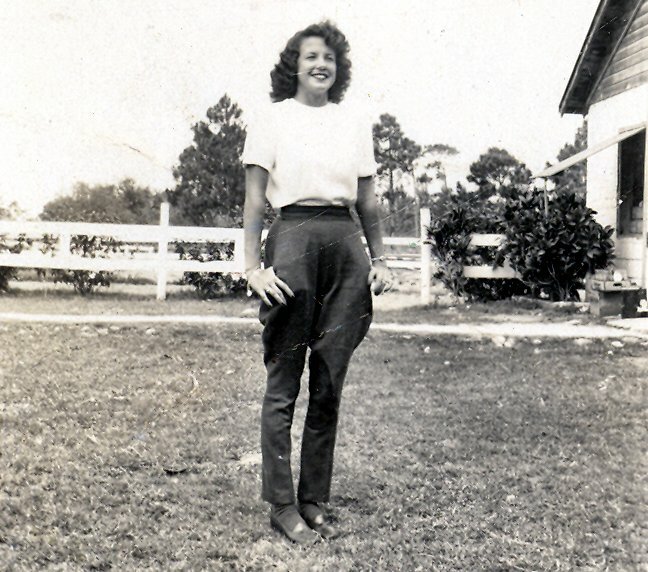 Marjorie L. Rabalais (1921-2008) was born January 21, 1921, at Plaucheville, Louisiana. She married John Millard Rabalais (1921-1997) on April 13, 1940, at Mater Dolorosa Catholic Church in Plaucheville. 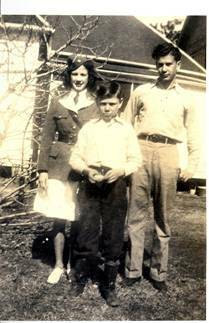 Their children were: John M. Rabalais, Jr. (b. 1941), Vincent Rabalais (b. 1943), Rebecca R. Masters Devalcourt (b. 1945), Monica R. Lemoine (b. 1954), and Nick Rabalais (b. 1958). Millard Rabalais passed on October 23, 1997. She died at Dupont, Louisiana on November 7, 2008. 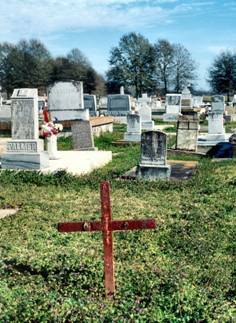 Their corporal remains are buried in the Mater Dolorosa Cemetery at Plaucheville, Louisiana. Irene Bonnette (1888-1982) was born February 28, 1888, at Plaucheville, Louisiana. 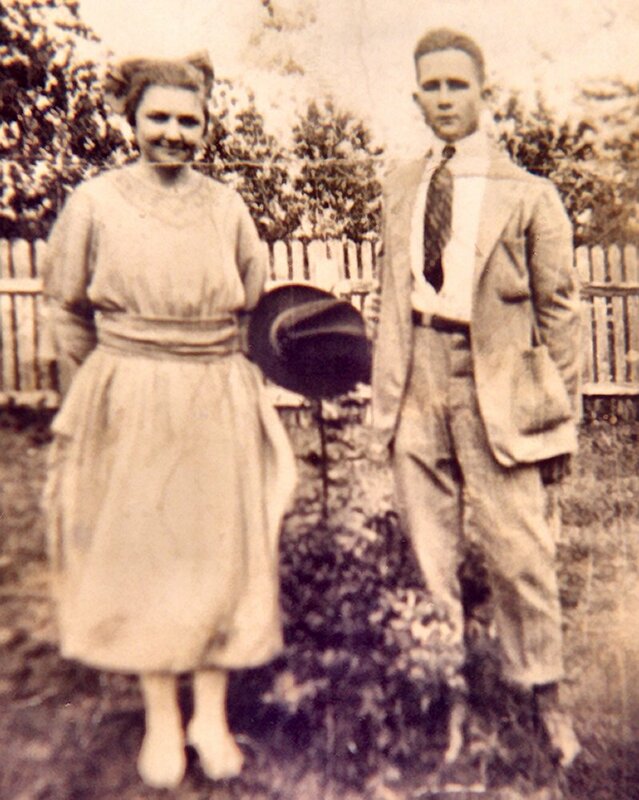 Circa 1907, she married Placide Lemoine (1885-1985), who was born August 23, 1885 in Avoyelles Parish, Louisiana. 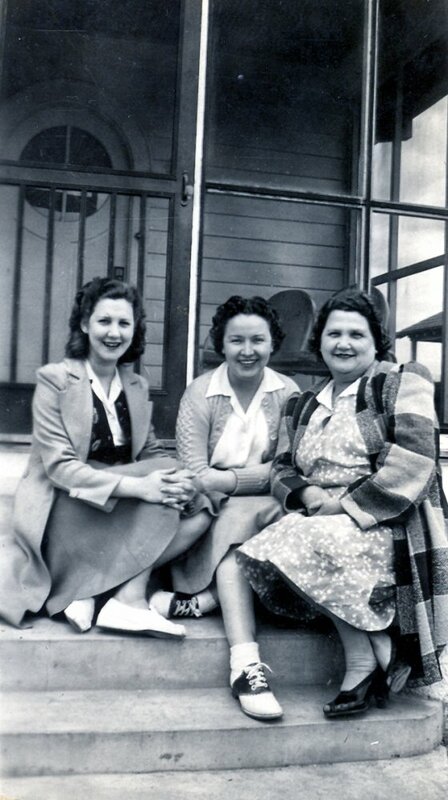 The family was residing in Simmesport, Louisiana in 1940 and later relocated to Metairie, Louisiana. Their children were: Eddie P. Lemoine (1908-1983), Verdie Lemoine Voisel (1910-2002), Gerdie Lemoine Mitchell (1917-2004), Paul Lemoine, Henry Lemoine, Lester Lemoine, and Nell Lemoine Mejia (1927-1993). Family moved to New Orleans. She expired in March 1982 at Metairie, Louisiana. Placide Lemoine died in October 1985 at Metairie. No further information. Eddie P. Lemoine (1908-1983)-was born at Plaucheville, Louisiana on June 29, 1908. He died in May 1983 at Metairie, Louisiana. Verdie Lemoine (1910-2002)- was born February 27, 1910 in Plaucheville, Louisiana. 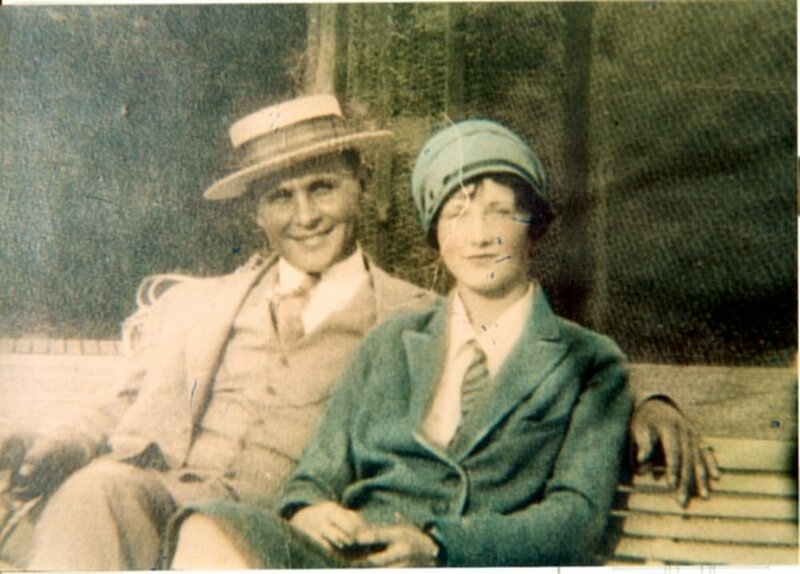 Circa 1927, she married Voimore Voisel (1903-1981). Sons: Vilmon Voisel (1928-1930+) and Allen J. Voisel (1933-3/8/1989). Verdie expired at Metairie, Louisiana on May 8, 2002. Voimore Voisel died there in September 1981. No further information. Nell Lemoine (1927-1993)?-married Mr. Mejia? Died September 13, 1993 at Metairie, Louisiana. Mathilde C. Bonnette (1888-1971) Filbert Bonnette (1890-1967) J. Stephen Bonnette (b. ca 1953), grandson. Philibert or Filbert Bonnette (1890-1967) was born on April 2, 1890. On December 21, 1911, at St. Mary Parish, he married Marie Mathilde Champagne (1888-1971), the daughter of Telesphore Eraste Champagne (1863-1937) and Alice Dugas (1870-1958). Children: Hazel Marie Bonnette (1912-2002), Henry Bonnette (c. 1918-c.1918), Joseph Valley Bonnette (1920-2010), Bernell Bonnette (1923-2014), and Charles Ray Bonnette (b. December 18, 1929). Circa 1942, the family moved to Alexandria from Shreveport. They resided at 3215 Masonic Drive (formerly Country Club Road) near the St. Francis Cabrini Hospital. Their home was a simple bungaloid structure of three bedrooms located on Lot Four of Square Two of the Woodrow Addition to the City of Alexandria. The lot has a fifty-foot front on Masonic Drive and is 140 feet deep. It is currently owned by the heirs of Mathilde C. Bonnette and Filbert M. Bonnette. (Succession No. 25,829-Ninth Judicial Court of Rapides Parish, Louisiana-January 1990). Today, there is a one-story, brick, commercial building on the property which is managed by Randy Monsur for the Bonnette heirs. It was sold in October 2004. Mr. Bonnette worked at a foundry in New Orleans during WW II. During retirement, he served as a crossing guard for school children at a parochial school in Alexandria. Filbert M. Bonnette expired on September 16, 1967, at Alexandria from a ruptured aneurysm of the aorta. Mathilde C. Bonnette died on June 9, 1971 from colon cancer. Both are interred in the Alexandria Memorial Gardens on La. Highway 165, south of Alexandria, Louisiana. 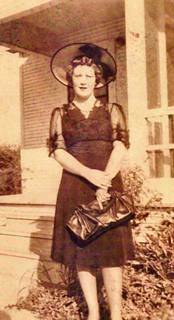 Hazel Marie Bonnette (1912-2002) was born October 2, 1912, at Charenton, St. Mary Parish, Louisiana. She married Alton L. Bellande (1912-1970) a native of Biloxi, Mississippi on October 19, 1941, at St. John Berchmans Catholic Church in Shreveport, Louisiana. Five children: Ray L. Bellande (b. 1943), Mickey J. Bellande (b. 1944), Betty B. Toland (b. 1946) Bruce J. Bellande (b. 1947), and Roy A. Bellande (b. 1949). Henry Bonnette (1918-1918) may have expired as a result of the Spanish influenza pandemic of 1918-1919. No further information. Bernell Blackwell (1923-2014) was born February 11, 1923, at Shreveport, Louisiana. She married John Edward 'Jack' Blackwell (1925-2004) on May 30, 1948, at St. Francis Cabrini Church in Alexandria, Louisiana. Three children: Michael P. Blackwell (1949-2015), David P. Blackwell (1951-2013), and Patricia Blackwell (b. 1955) m. Carsten Westergaard, native of Copenhaven, Denmark. One child Thor Westergaard. Bernell passed on July 19, 2014 at Blanchard, Caddo Parish, Louisiana. Charles Ray Bonnette was born December 18, 1929 at Shreveport, Louisiana. He married Della Temple (b. March 22, 1936), a native of Russell, Kansas on August 18, 1956. She was the daughter of Ralph Temple (1910-1997) and Lena O. Temple (1914-2008) of Jennings, Louisiana. One child: Marc Temple Bonnette (b. May 14, 1957). Elie Bonnette, (1893-1960), called Lee, was born on January 2, 1893. Lee Bonnette married Frances Virginia Pyne (1902-1995), the daughter of Frank Thomas Pyne and Eleanor Donohoe. Miss Pyne was born at Manhattan, New York City on September 10, 1902. 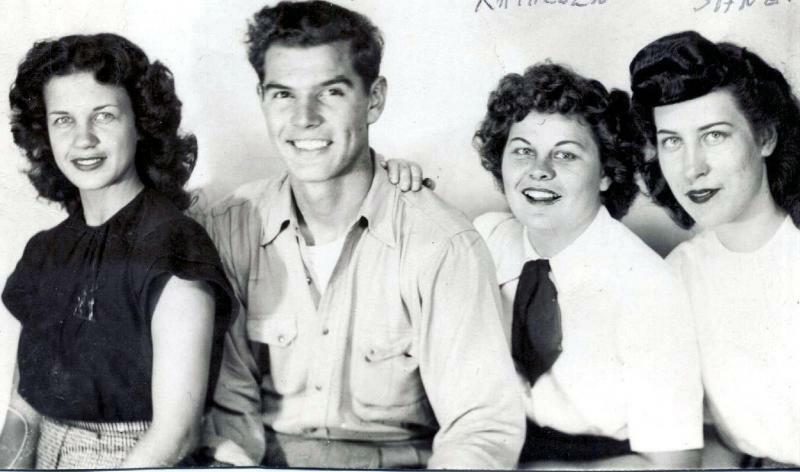 Their children were: James Lee Bonnette (1920-2010) and Frances Lillian Kline (1922-2004). Lee later married Flossie Daniels (1912-1976) and had two children: Cloyse Eli Bonnette (1933-2011) and Lynda Laine Bonnette (b. 1941). Lee Bonnette passed on March 27, 1960 at Alexandria, Louisiana. 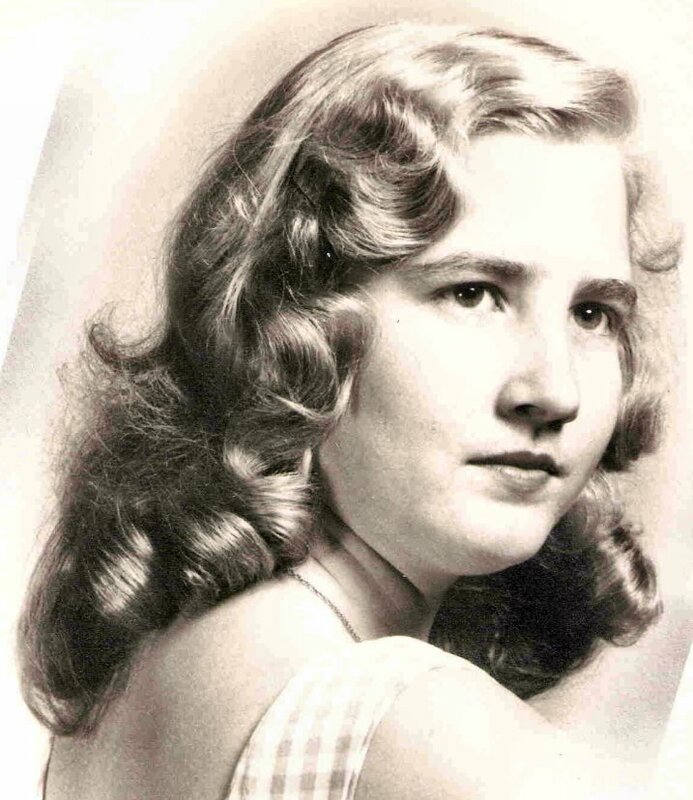 Frances Pyne Bonnette expired on December 19, 1995, at Shreveport, Louisiana. Flossie Daniel Bonnette died on January 17, 1976. James Lee Bonnette died on September 16, 2010 at Richmond Hill, Georgia. Cloyse Eli Bonnette passed on June 8, 2011 at Alexandria, Louisiana. Most members of this family are buried at Ball, Rapides Parish, Louisiana in the Forest Lawn Memorial Park cemetery. No further information. James Lee Bonnette (1920-2010) was born on November 10, 1920, at Alexandria, Louisiana. He married Mary Ellen Kane (1920-2014) on June 1, 1941, at Savannah, Georgia. 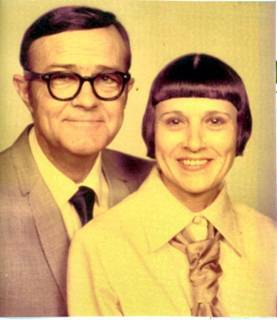 Their children were: Susan B. Ahnell Wolfe (1942-2007) married Russell C. Wolfe (b. ca 1928); Richard Kelly Bonnette (b. 1948) married Lorinda Corderio; Harold T. Bonnette (b. 1950) married Valerie G. McMurtrie (b. 1953); and Judith Lee Bonnette (b. 1952) m. Mr. Moore. James Lee Bonnette died on September 16, 2010 in Georgia. Mary Ellen Kane Bonnette passed on November 13, 2014. Their corporal remains were interred in Forest Lawn Memory Gardens at Savannah, Georgia. 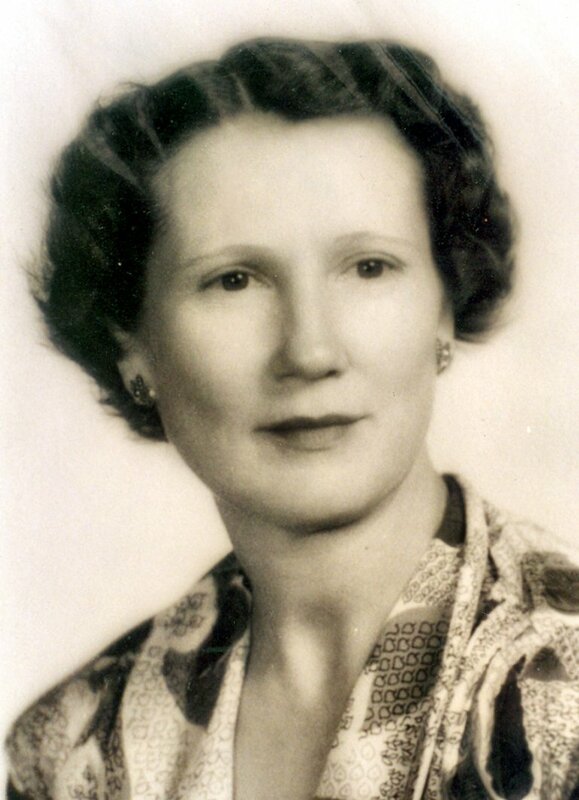 Frances Lillian Bonnette (1922-2004) was born in 1922 at Alexandria, Louisiana. She married William Kline. Their children were: Frances K. Carson (b. 1946), William Kline (b. 1950), Phyllis K. Copp (b. 1953), and Albert Kline (b. 1955). Cloyse Eli Bonnette (1933-2011) was born November 19, 1933. He married Shirley Cleveland on May 23, 1955 at Alexandria, Louisiana. Their children were: Alan Kent Bonnette (b. 1962); LeeAnn Bonnette m. Mr. Tavares; Tyra Bonnette (b. 1963) married Jon Fullerton; Lynda Bonnette (b. 1965) married Sean Bradford; and Heather Bonnette (b. 1968) married Ricky Atkins. Cloyse Eli Bonnette expired on June 8, 2011. Cloyse Eli Bonnette of Alexandria, age 77 years, passed away June 8th 2011 at the Summit Retirement Center. He was born November 19th 1933 in Alexandria and attended Bolton High School. At age 17, on January 14, 1951 Cloyse enlisted in the United States Marine Corp. and was sent to Parris Island USMCRD, South Carolina for recruit training. 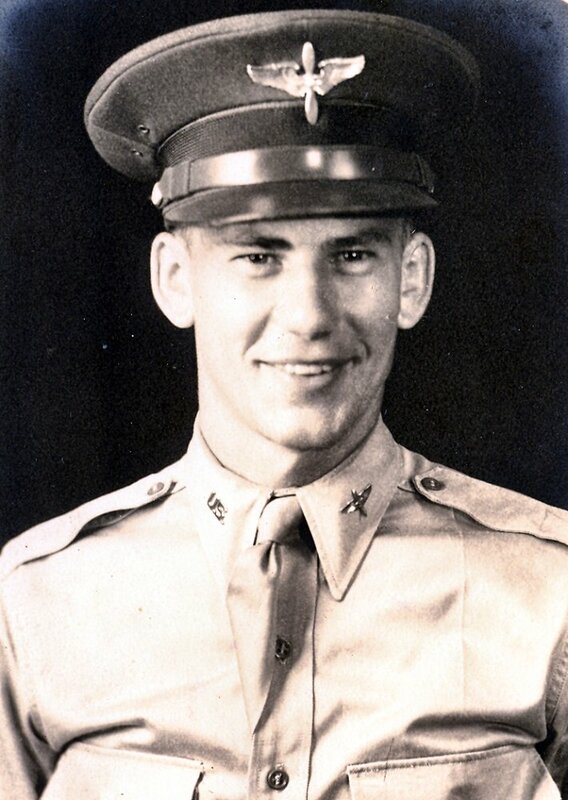 Cloyse served 11 months and 3 days in Korea during the Korean War, first as a Machine Gunner then as an Infantry Squad Leader during a period known as the "Hill Country Fighting". He was wounded during an attack and spent 6 months convalescing at the Naval Hospital in Yokuska, Japan. Upon his return he was stationed at USMC Recruit Depot in San Diego, California, where he served as a Jr. and later Sr. Drill Instructor. 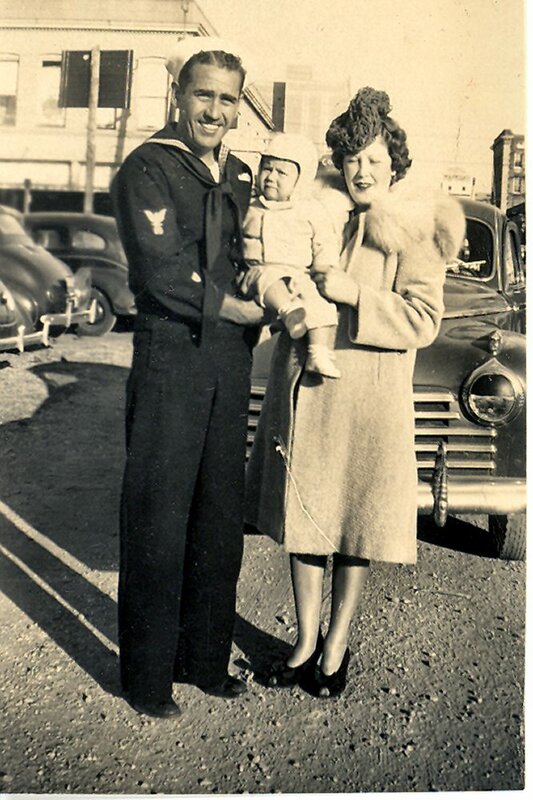 Cloyse was honorably discharged January 14, 1954. During his Marine Corps Service he was advanced to the rank of Corporal and received the Navy-Marine Corps Good Conduct Medal, The National Defense Service Medal, The Korean Service Medal with two stars, The United Nations Service Medal and The Purple Heart. Through 1954 he served in Battery "B" 212th Field Artillery Battalion, Massachusetts National Guard/Army Reserve and was honorably discharged on December 22nd 1954. Upon his return to Alexandria in 1957, he worked for P. Lorilard & Sons Baltimore, Maryland as a wholesale rep. In 1965 he joined Wm. F. Schraft & Sons, Boston, Massachusetts and was transferred to Atlanta, Georgia the following year. In 1972 he returned with his family to Alexandria to take over the Sloane Optical territory. He retired from the road in 1980 and entered business locally. He eventually joined the Rapides D.A. Office, child support and enforcement division from which he retired. Cloyse was first raised to the 3rd Degree of Masonry in Ballis Sanford Lodge on the June 20th 1956. He was a Knights Templar and a member of the Ancient Arabic Order of the Nobles of the Mystic Shrine. When he returned to Louisiana he became a member of the Oliver Lodge #84 part of The Grand Lodge of Louisiana Free and Accepted Masons. Cloyse was also an active member of the EL Karubah Shrine Temple and played the Chinese Musette with the Oriental Band. He was also a member of the American Legion, The VFW, the AM VETS, The National Exchange Club and A member of the Benevolent and Protective Order of Elks. Cloyse was preceded in death by his parents Elie and Flossie Bonnette and his siblings James Lee Bonnette and Lillian Cline. 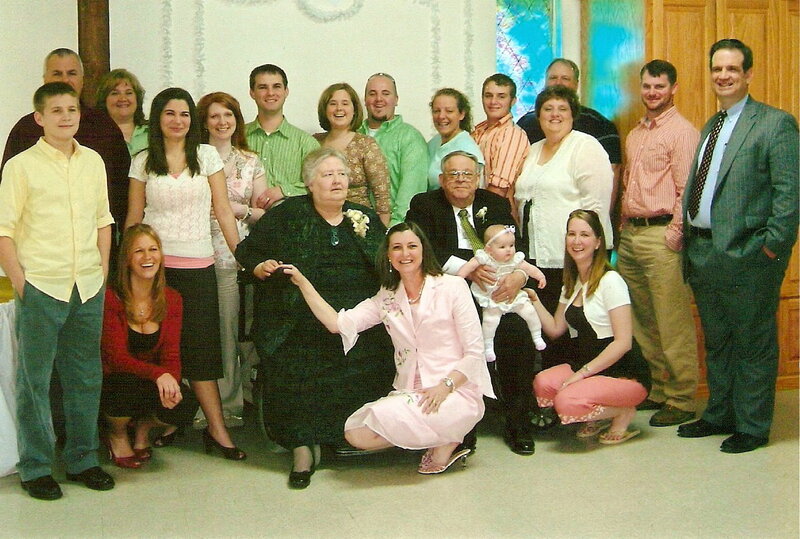 He is survived by his wife Shirley Cleveland Bonnette of Alexandria, Sister Lynda Branch of Slaughter; one son Alan Kent Bonnette of Alexandria, four daughters LeeAnn Tavares of Taunton, Massachusetts, Tyra Fullerton of Dover, Delaware; Lynda Bradford of Lexington, South Carolina and Heather Adkins of Tampa, Florida; eleven grandchildren; three great grandchildren. Clarence Stewart died at Metairie, Louisiana on May 19, 1971. Ethel Goudeaux Stewart passed on August 13, 1984. American State Papers, "Claims in the Western District of Louisiana-Case No. 73-36", Vol. 3-1815-1824, (Southern Historical Press: Greenville, South Carolina-1994). Avoyelles Parish Crossroads of Lousiana, (Pelican Publishing Company: Gretna, Louisiana-1999). Randy DeCuir, “Bonnett (sic)”, [a compilation of Bonnette family genealogy], (P.O. Box 383, Marksville, Louisiana 71351). 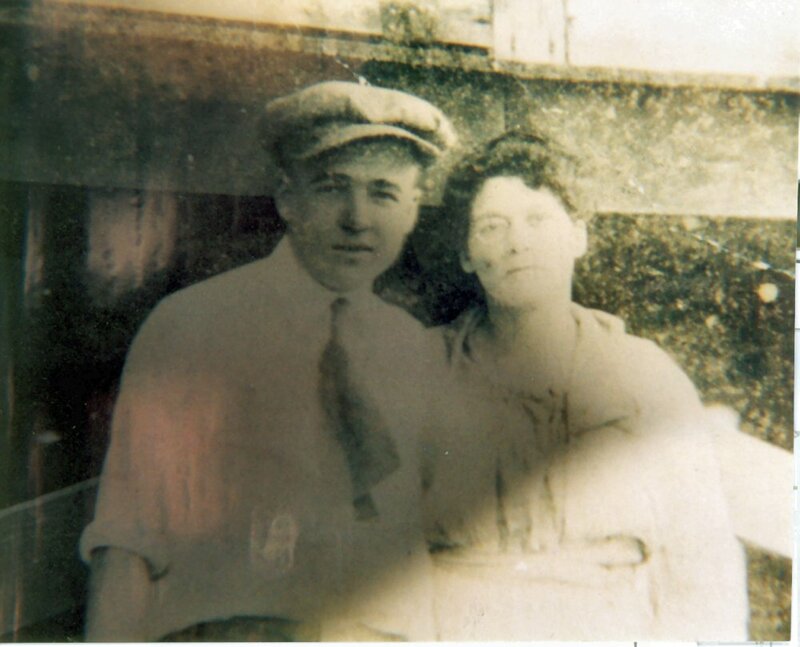 William Nelson Gremillion Sr. and Loucille Edwards Gremillion, Some Early Families of Avoyelles Parish, Louisiana, Vol. I, (Claitor's Publishing Division: Baton Rouge, Louisiana-1980). Jeraldine Dufour LaCour, Avoyelleans of Yesteryear, (Dufour: Bunkie, Louisiana-1983). Jeraldine Dufour LaCour, Brides Book of Avoyelles Parish, Louisiana (1808-1855), Vol. I, (Dufour: Bunkie, Louisiana-1979). Jeraldine Dufour LaCour, Brides Book of Avoyelles Parish, Louisiana (1856-1880), Vol. II, (Dufour: Bunkie, Louisiana-1982). Jeraldine Dufour LaCour, Brides Book of Avoyelles Parish, Louisiana (1881-1899), Vol. 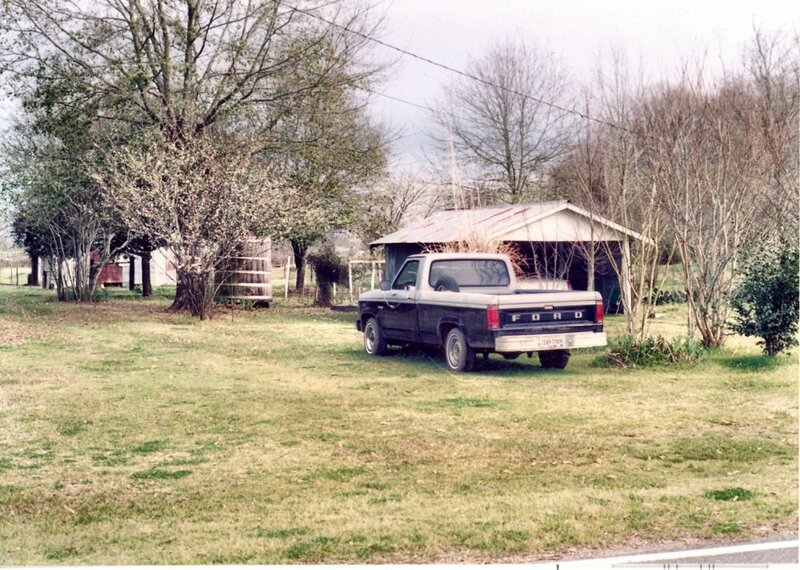 III, (Dufour: Bunkie, Louisiana-1983). Corrine L. Saucier, History of Avoyelles Parish, Louisiana, (Provincial Press: Ville Platte, Louisiana-2004-reprint of 1st edition of 1943). Focus, News of the Brothers of the Sacred Heart, New Orleans Province, V. 10, No. 2., Fall/Winter 2003. The Alexandria Daily Town Talk, “Emcel P. Bonette”, November 16, 1999. The Alexandria Daily Town Talk, “Robert 'Bobby' Matthew Bonnette", June 16, 2006. The Alexandria Daily Town Talk, “Mabel D. Bonnette", May 8, 2008. The Alexandria Daily Town Talk, “John V. Bonnette", May 21, 2008. The Avoyelles Journal, “Our Heritage”, ‘The Bonnette Family’, a seven plus series of articles ran September thru October? 1983 by Nelson Gremillion. The Daily Comet [Lafourche Parish], "Edwin P. Bonnette", September 21, 2007. The Times Democrat, 'Floriall (sic) Bonnette', November 17, 1904. The Times Picayune, “Corinne C. Bonnette”, March 19, 1953, p. 2. The Times Picayune, “John W. Bonnette”, June 1, 1964, Section 1. The Times Picayune, “Agnes Champagne Hellbach", March 11, 1965. The Times Picayune, “[Nettie Mary] Goudeaux”, August 3, 1969, p. 20. The Times Picayune, “Winsted J. Bonnette”, November 27, 1987, p. 14D. The Times Picayune, “Elmer Lloyd Ferrand”, November 19, 2003, p. 4. The Times Picayune, “Rogers John Bonnette”, November 22, 2009, p. 5. The Times Picayune, “Maudry Bonnette Ferrand”, February 28, 2014.
part of 8th Ward) Enumeration District No. 21, Supervisor District 6, Sheet 3, pp. 187-188. 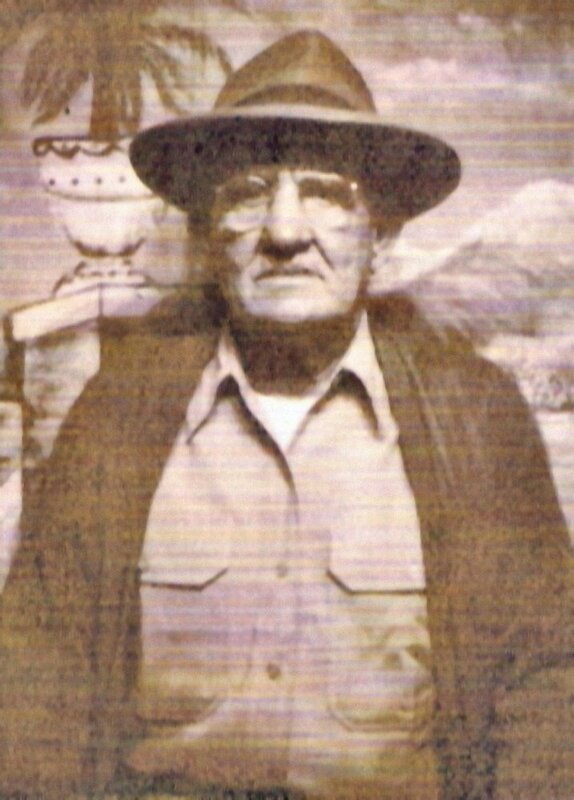 Bossier F. Bonnette-August 1872, farmer.